Well that is two days that we have under our belts so far, after today there will be two more ahead of us so that just means that we just have to get up and over that dreaded noon time hump today to be on our way to yet another fun filled weekend. I have to say that I have been a little bit under the weather since late Sunday night, I woke up with a very sore throat and have been battling a fever ever since then. This rainy and colder weather plus it coming time for me to get my 2015-6 Flu Shot are a couple contributing factors in why I have not feeling so great this week. Hopefully I will be feeling a little better as the weekend approaches and am able to get out and around. We did finally release the electronic version of the 2015 Carbon Storage Atlas - Fifth Edition at work this week. This has been the majority of my effort over the past year or so, now we need to start gearing up for the sixth version of it to be released, but from my understanding the entire methodology is supposed to change we we will be looking at a whole new set of information in the next edition. I hope everyone's day is full of joy and satisfaction and that each and every one of you live it to the fullest. 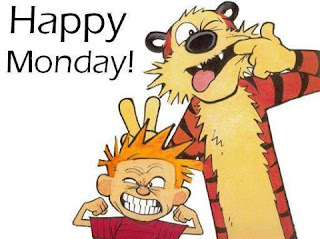 * Well Michelle and I finally have a Monday under our belts, the first in September believe it or not due to vacations and Holidays. Can't think of a better reason to do a tidbits. * It has been 18,930 days and counting since my birth, some 21 + years ago. * 4,153 days ago I graduated from West Virginia University. * It was just 2,754 days ago that I took a wonderful woman who would later become my wife out on our very first date. * 1,978 days ago I had made Michelle wait long enough, so I proposed marriage to her. * It was 1,515 days ago in front of our closest family and friends at the Marilla Center that we had our own Caribbean Style Wedding. * In just 2,545 more days the Backyard Brawl Football Rivalry between WVU and Pitt will once again be played. * There are only 348 more days to go until our Cruise 2016, we already have it booked. * 312 days to go until Michelle and I celebrate our Fifth Wedding Anniversary. * There are only a mere 173 days to go until my favorite season of the year, Spring 2016, will once again arrive and greet us. * There are only 93 days left until my Goodbye 2015 blog is published. * If you have not started Shopping Christmas yet, you still have 87 more days to go. * I have 63 more days to go until the next anniversary of my 21st Birthday. * In just 42 more days all my sisters will get together as VIP's for the Taste of Home Cooking show. * 40 days to go until the Pudgy Polamalus attend the Steelers vs Raiders game this fall as the winning team from Steelers Trivia. * We have about 21 more days until everyone needs to be on the lookout for Doc Brown and Marty McFly and their flying Delorean. * There are only 4 more days until we head East to the Springs Festival. * I have written a total of 4,213 Blogs for George's Journal in the 11+ years that I have been a blogger. * Nothing done this week on the Hall Family Website, we are getting closer to the time when I will start doing a little more work on it. * Nothing new on the Brother search, We are obviously at a dead end. * Apple has already released the 9.01 update to their latest operating system, that was a quick release of a patch. You never seemed to get updates that quick after a release with Steve Jobs. * Chad will be moving to his new apartment later this week, Michelle and I will once again be empty nesters once again. * We finally got a chance to visit the new Phoenix Bakery over the weekend, if you were a fan of New Day and it's predecessor Daily Kneads then Phoenix Bakery is an absolute must. They Made some small pepperoni rolls on Sunday, OMG they were awesome. This is one business we are very happy to see back up and running. All good things must come to an end, and unfortunately that also includes those fun filled things that we all enjoy so much and call weekends. Now it's time to take our collective noses and stick them back on the grindstone for another fun filled week of work. Nothing new or exciting during the upcoming work week. Things are kind of slow right and no new projects are really kicking off, but that can always change at the drop of a hat. Michelle was feeling a little bit under the weather yesterday, really all weekend, so we really didn't get into a whole lot of anything this past weekend other than watching football and going to the Buckwheat Festival Friday evening. There was a strange occurrence before the Steelers vs Rams game yesterday, I guess they had some pyrotechnics cause a problem before the game started and ended up catching the field on fire. It was a little bit of a delay, nothing really that significant other than starting about half an hour later. Wow what a day it was in Morgantown yesterday, Country Music Superstar and West Virginia native Brad Paisley stopped by Milan Puskar Stadium yesterday afternoon to be only the second artist (John Denver when it first opened) to perform Country Roads in front of a Football crowd. In a halftime interview, it was learned that Brad's Dad was a lifetime ticket holder and has even attended games at the old stadium downtown. As far as the game, West Virginia revenged the 0-37 defeat we suffered two years ago when Maryland just had their way with us with a 45-6 win here yesterday. The halftime score was 38-0 and we were hitting on all cylinders, Offense, Defense and Special Teams and even pre-game entertainment...lol. We even set a school record for first downs with 37. Maryland did score on a long pass play in the 4th quarter, when they were already down 45-0. The team looked great yesterday, we will have to see if we can enter into the top 25 in today's polls. I think that we have a pretty good chance, that was a very convincing and totally dominating performance against a Big Ten team that might have gotten some notice. It was a Great Day to be a Mountaineer. Here I sit once again on a quiet Saturday Morning, I'm the first one to recover from that losing battle with that dreaded Sandman last night and I'm up watching Blades of Glory on HBO Go and collecting my thoughts for the day. 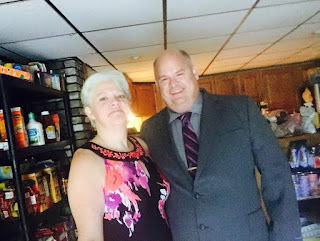 Michelle and I make the trip to Kingwood WV last night to attend the Preston County Buckwheat Festival, it has been a few years since we actually made it to the Festival, mainly die to the fact that it always seemed to be raining when it was going on and we didn't want to get wet. We didn't get any Buckwheat Cakes ( I know a sin) but we did walk around and look at a lot of the arts and crafts and bought a few things. Mainly seasonings for dips and cheese balls, but we did buy Chad a Jack Daniels Lamp and surprised him with it when we got home. Today the Mountaineers are playing Maryland at Home. The game will be at 3:30 this afternoon and there are rumors of a big surprise during before the game. 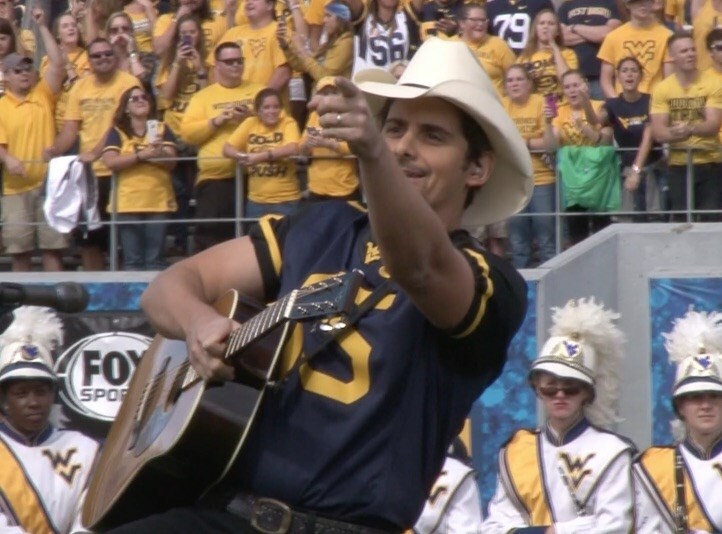 Rumors are Brad Paisley is stopping by between his concert in Boston last night and a concert in Virginian tonight to sing a pre-game country roads. Word is his Dad Doug has kind of tipped everyone off. The are going to be honoring the 1975 Peach Bowl team today, a team that I was actually pretty close to as a kid. A great group of guys. Are you looking for a little bit of football action tonight? In the High School Ranks #1 and undefeated Morgantown travels to Martinsburg this evening. This should be a real tough game as Martinsburg has owned my Alma Mater for the past few years. Lets see if tonight will be any different. University High is still trying to get their first win of the season tonight when they take on Musselman at their school and 1-3 Clay Battelle is at home against Valley (Whetzel). Good luck to all the teams this evening. College Football you say? Well the Maryland Terps will be coming to Morgantown tomorrow to take on the Mountaineers at 3:00. This will be the first time since 2012 when Maryland has visited Morgantown, the last two years the games have been played in Maryland. Hopefully Dana Holgorsen has the guys ready tomorrow to bring home our third victory of the season. The new iPhone is being released today, my sister Kim is staying overnight outside of the AT&T store to get new new phone. Drop her off a cup of coffee if you are near the Van Voorhis Road Store. No plans for Michelle and I this week other than things around the house. 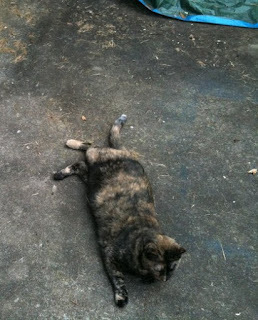 One of the hardest things you have to do as a pet owner is make an end of life decision. Today we had to make that tough decision with the one animal of Michelle's that I had the closest bond and attachment to. 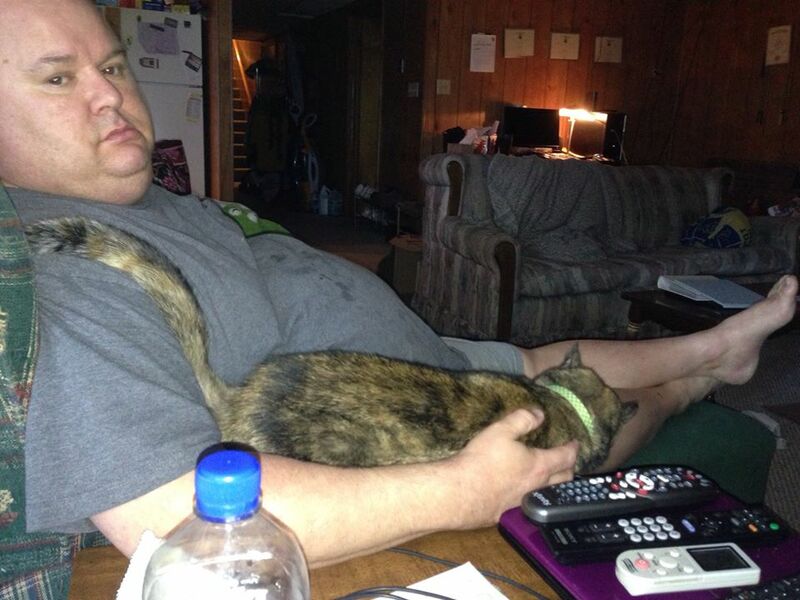 We had to put our cat Chloe down. Over the past year she has continued to lose weight to almost nothing but skin and bones. She has had uncontrollable diarrhea for a long time now and it's just got worse. You could tell that lately that she even stopped grooming herself and was pretty much telling us that it is time. It was hard to put Sadie down, it's going to be much harder for me to put Chloe down as she was my buddy. She would sleep with us until she started having accidents a few months ago and would always be snuggled up under my arm as I sat on the couch. RIP my friend, I know I for one will greatly miss you. 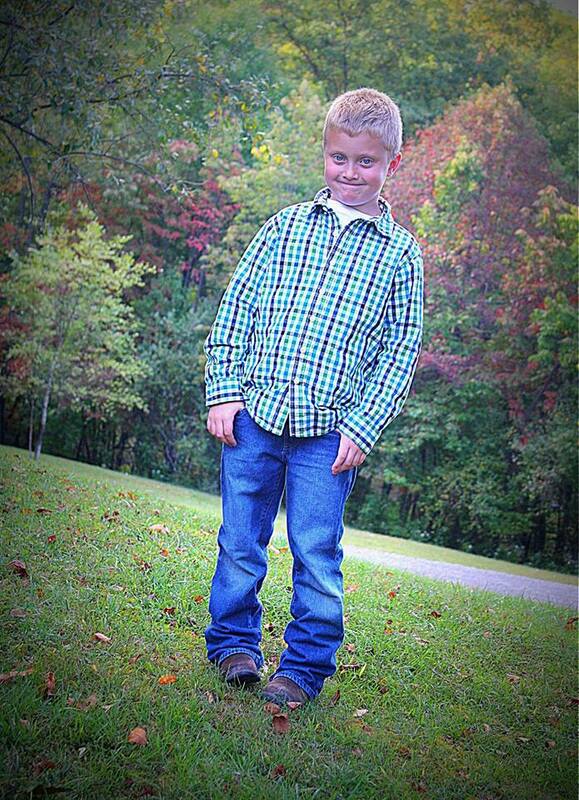 I would like to take this opportunity to wish my great nephew Kaiden Dalton a very Happy Birthday today. If my math is correct, this will make him 7 years old today. 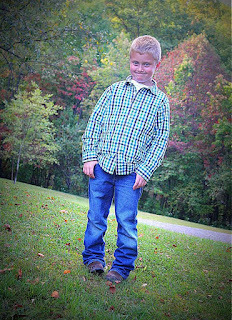 Kaiden is a well disciplined, photogenic and lovable young man who makes both his Mom and Dad very proud each and every day. Amy and Ralph had a duel Birthday Party for both Kaiden and his sister Kynlea on August 7th where we all showed up and had a great time with both he and his sister. I'm not sure what plans Amy and Ralphie have for Kaiden today, but if you happen to see this fine young gentleman take a little bit of time out and wish him the happiest of birthdays today. Happy Birthday Kaiden Joseph Dalton, may your day be filled with much joy and may you enjoy many more of these kinds of days. Once a week I like to take a little bit of time out and look through all of the images I have either taken (about 600 last week alone), scanned or just stolen someplace on the internet. Little lost moments in time that I post up and tell a little story about as I relive the moment. Sometimes this is in fact a pretty easy task and sometimes I have no idea where to take this, but one thing it always is is a whole lot of fun. 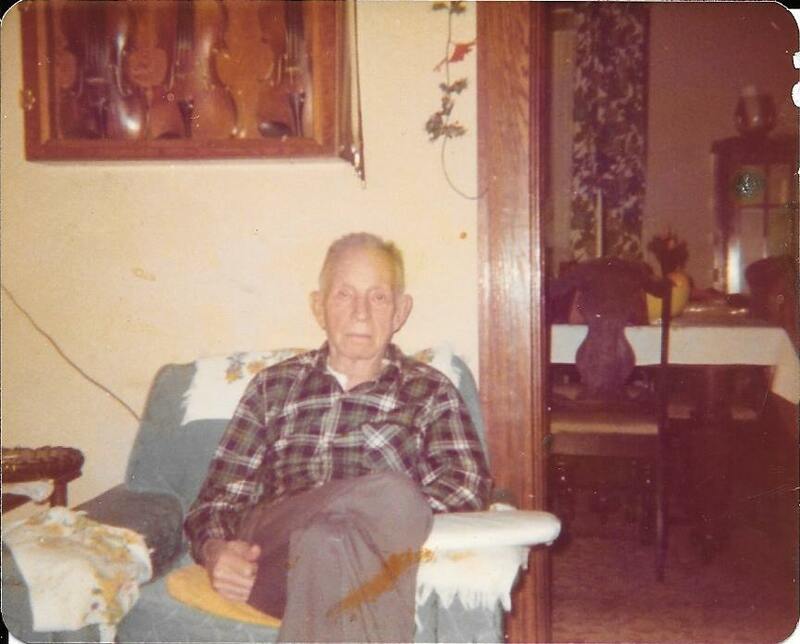 This weeks pic is to honor a man who raised me, this is my Grandpa Hall whom I lived with until he passed away when I was just 13 years old. This picture was taken at the old house on Van Voorhis Road I have placed a Geocache in honor of this home for anyone who may be curious where we lived when this picture was taken. I can't really date this picture, but I'm guessing around 1973-4 range. This looks prior to the time where he had a stroke and his health diminished before he passed away in 1977. I'm guessing it is somewhere around Christmas time due to the decorations hanging around the door way. I notice the three violins that he has hanging above his head. Of those three violins I have one, my cousin Rusty was given one and his brother Jim was given the third. I still have mine plus the one that Grandpa Hall gave me to learn to play (which I never did because I'm not musically inclined). Well that dreary return to work after a wonderful vacation is now behind me. I do have to say that I really wasn't swamped like I have been in years past, but there was in fact a little bit of catching up to do. It was a nice, fun and relaxing cruise for us, and this was probably my most favorite formal picture that we had taken from the cruise. OK, Mind out of cruise mode and back to normal blogging mode. What have I missed since I was gone. The West Virginia Blackbears won the League Championship in their first ever year of existence. The Pirates Rookie League team brought home the trophy and have a nice piece of hardware that can now be displayed at the Monongalia County Ballpark. IOS 9.0 was released for the iPhones, I really don't see a whole lot of changes, just some minor tweaks but nothing really earth shattering like you would have seen with Steve Jobs at the helm. I watched the kickoff meeting a few weeks ago and it seems like the iPhone had the least amount of emphasis, that was just my impression however. With West Virginia playing at home against Maryland this Saturday, we are probably not going to be getting into a whole lot of anything this coming weekend. The following weekend however is when we are planning on heading East once again to Springs Pennsylvania for the Springs Festival. Maybe by then the leaves on the trees will have changed colors more and it can be a photographic opportunity for all to see and share. * Well that wonderful thing known as a vacation is now over with and we are looking to get back, here goes a tidbits. * It has been a mere 18,923 days that have passed since my birth, I'm thankful for each and every one of them. * 4,146 days ago I graduated from West Virginia University. 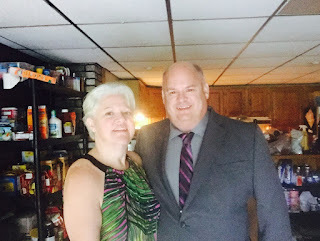 * It was 2,747 days ago that my life changed for the better forever as I took a wonderful young lady out for a first date. * It was 1,971 days ago that I proposed marriage to Michelle, I made her wait long enough lol. 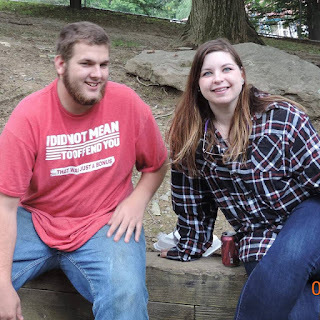 * It was 1,508 days ago that we celebrated our marriage in front of our closest friends and family at the Marilla Center. * I have around 5,914 days to go until I retire, give or take a few hundred here or there. * There are only 2,552 more days until the Backyard Brawl renews in Football. * There are only 355 more days to go until we set sail on Cruise 2016, same places as this year. * If anyone is wanting to book a cruise in the next 60 days on Carnival, we have two vouchers for up to $200.00 of on Board Credit if anyone wants them. The clock is ticking and they are for a limited time only. * There are only 319 more days to go until Michelle and I celebrate our Fifth Wedding Anniversary. * There are 180 more days to go until Spring 2016, my favorite season of the year. * There are but a mere 100 days until my Goodbye 2015 blog is posted. Reliving my previous year based on events written about right here. * There are only 94 Shopping Days left to go until Christmas 2015. * 70 days until another Anniversary of my 21st Birthday. * In 49 more days all my Sisters and a Niece will be VIP's at the Taste of Home Cooking show. * Since we won the Steelers Trivia Show again, we will once again be VIP's in 47 more days when the Steelers take on the Raiders. Ticket's and Field passes. * I have written a total of 4,204 Blogs in my 11 years now as a Blogger. * No work this week on the Hall Family Tree, it's about that time when I start organizing again. * Chad's snake at the largest thing he has ever eaten a couple of days ago, it was a full sized overgrown 20 lb rabbit. Chad will be leaving our household once again at the beginning of October, he has an apartment in Westover he will be moving into along with the snake. He has a special cage built for it because it has gotten so large (12' and 75lbs) and is still growing. It needs it's own bedroom and environment. * We got Chad a 3 Liter Bottle of Jack Daniels on our cruise, it's a rare item and they are selling an empty bottle on Ebay for $100.00. The one we bought him is unopened (unless he cracked the seal) and full. How rare is it? Try to find one. * Josh and Hayley got themselves a new dog, her name is Maybelline and she is part Pitbull and Cane Corso. * Hi ho hi ho....I HATE SNOW!!!!! Well our wonderful cruise is now over with and we are still working on getting back to our normal schedules. We are still on vacation one more final day meaning we have to do all of our grocery shopping and other things that we were not able to do from the Middle of the Atlantic Ocean. I've put most of the vacation pictures on my Facebook page, but those are just the pictures from our Phones and not any pictures from any of the cameras that we brought along with us. 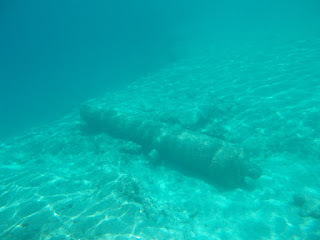 I'll add those pictures today including all the underwater shots that I took. Although the vast majority of all my pictures are already posted being that I had Facebook access on the ship from my phone, and that those were the primary cameras that we used. We did have a little bit of excitement one night, our ship has an explosion and was believed to catch on fire after we had visited Grand Turk and were on our way to Half Moon Cay. We were fine and it was over with before I even knew what happened as it happened in the middle of the night, it did wake Michelle up but I slept right through it. It delayed our arrival at Grand Turk by an hour. I do have to admit we saw more turbulence this trip than any other trip, not enough to make me or Michelle sea sick, but I just have to confess it was not as smooth sailing as it was in prior years and the sea was actually a little rough at times compared to previous cruises. It was nothing major and nothing that prevented anyone from doing anything. I saw one person get sea sick, bu there were plenty of green apples on board to combat any motion sickness. Have yourselves a great day as we prepare to get our lives back to normal after a wonderful vacation. 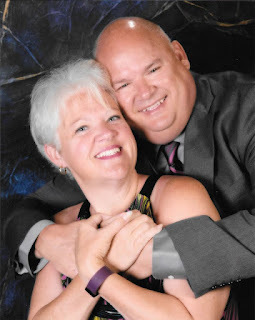 As Michelle and I are on Vacation this week aboard the Carnival Pride, you can track our Ship Location and watch for us on the Ships two cameras in the Aft or in the Forward Cameras. I am obviously absentee and will be writing my blogs absentee as even bloggers need a vacation. 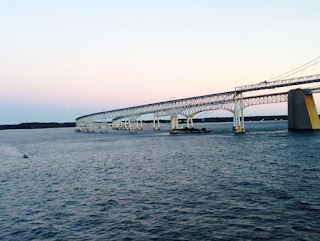 Well here we are, by the time that this starts to post I will probably be available by phone as we will be entering the Chesapeake Bay and docking this morning at the Port of Baltimore early this morning. Today is the end of our cruise and time for the next set of cruisers to enjoy their time on the Carnival Pride as we have. We will be Debarking hopefully mid morning and going through customs with our luggage and everything else that we will be bringing back. Hopefully we can get out of downtown Baltimore early this morning, but that really doesn't matter. Last year we were leaving right as everyone was trying to get to Baltimore's M&T Stadium which is right by the port. Fortunately jumping on I-95 to return home is a very easy task for us and it should not take us too long to get out of here. I think last year we were eating lunch in Hagerstown around Noon, we'll probably be carrying our luggage off once again plus we have "Faster to the Fun" which pretty much gives us priority getting off the boat today and getting through customs. Hopefully we should be getting home some time this afternoon. I hope you have had as much fun following our vacation as we have had on it. We are both off of work tomorrow as well to get all of our chores done, hopefully I will put the rest of my pictures up on Facebook of this years vacation for all to enjoy. By estimate, we have covered about 400 miles by car and about 2,600 by ship for a Grand total of around 3,000 miles during this vacation. Wish us a safe trip home, enjoy your day and tomorrow's blog should be the first live blog that I will have written in a while. Well our three ports of call are now complete and we are traveling up the Atlantic Coast on our return home, we will be hugging the Atlantic Shelf unlike our trip down when we went into the deepest parts of the ocean. For me, my day will probably be in the Sports Bar watching as much College Football as possible and passing the time away. The Mountaineers will be at home today playing Maryland, I'm hoping one of the stations on the boat carries the game. I've missed the game the last three cruises because it has been unavailable to the networks we had available. Tonight will be our final dinner on the ship and we will get our little send off that they always sing at the end of every cruise. Have yourselves a great day, we're on our way home. Today will be our third and final port of call before he start heading back north to Baltimore. We are in Freeport the Bahamas and all we usually do here is a little bit of shopping. A couple of years ago we headed into Port Lucia, but they had the same shops there that we had here and they opened much later. There are a number of small shops around Freeport, one of which is a place that makes hand made Christmas decorations that we have one made every year. Each and every one of them are different, and when we hang these on our tree as we do with many of our special place and moments and recall where we got that particular ornament as we hang it. That however is Christmas and I'm in the Bahamas right now. One thing that everyone always seemed to ask me for was a tour of the Carnival Pride. 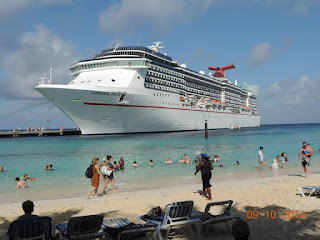 Mind you this years Video Blog was done a year ago, a couple months prior to the Carnival Pride going into dry dock last November and getting all the new upgrades to Funship 2.0 that we are enjoying this year. This is my second attempt to publish the video, the initial attempt was nearly 60 minutes long and somewhere there was some corruption in the file, so this is part of the tour. As always, have yourselves a great day, a relaxing Friday and enjoy yourselves, because you know we are and we will be. I would like to take this opportunity to wish my Nephew Calvin a very Happy Birthday today. It was 20 years ago today that the youngest of all of my nieces and nephews was born and entered into the family. He was the last one to enter, but he is also just edges his older brother Moke to be the biggest as well. I'm not sure what Calvin has planned for the day, my guess is attending classes at Fairmont State as he is in his second semester there and doing very well from my understanding. Pam and George may do a little something, but that is hard to say considering I'm basically out of the country and have written this a few weeks ago so as to I would not forget or overlook his birthday. If you happen to see Calvin today, make sure that you take a little bit of time out and wish him the Happiest of Birthdays today. Today we are in Port at my favorite place in the whole wide world, we will be at Carnival's Private Island Half Moon Cay. 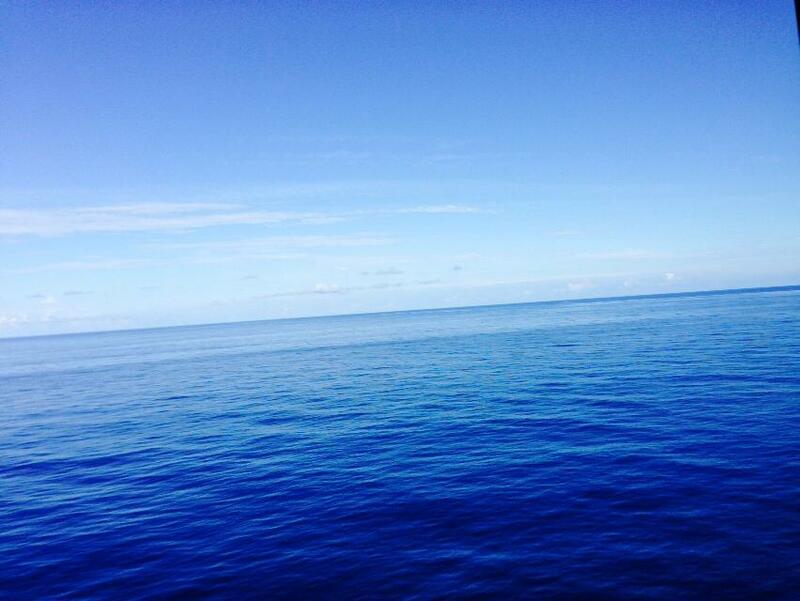 Water around the Port is very shallow, so we will have to tender (boat) out way from the ship to the island and back. Michelle and I have dined with one of our dinner companions from last year again this week, Cheryl McCann (in white) and her Husband have been dining with us all year. We would have loved to have seen Donata (Purple) make it this year, hopefully she will make it next year. One of the highlights of Half Moon Cay is that you basically spend the entire day on the island, Carnival even sets up lunch on the island since there are no real restaurants and you don't want to keep tendering back and forth to the ship. Once again I have prepared a video blog of our day and journey last year, so you can have a little sneak peak into the day we will have today. Enjoy your day, because you know we are going to be enjoying ours. Today we enter our first Port of Call in Grand Turk. A place that we will do a little bit of snorkeling and a little bit of site seeing. Last year we ventured to the other side of the walkway to see what was over there, and we found this NASA Exhibit over there. Amazing what you can find when you go to places other than that wonderful beach and Margaritaville. There are always amazing things to see in the waters there. 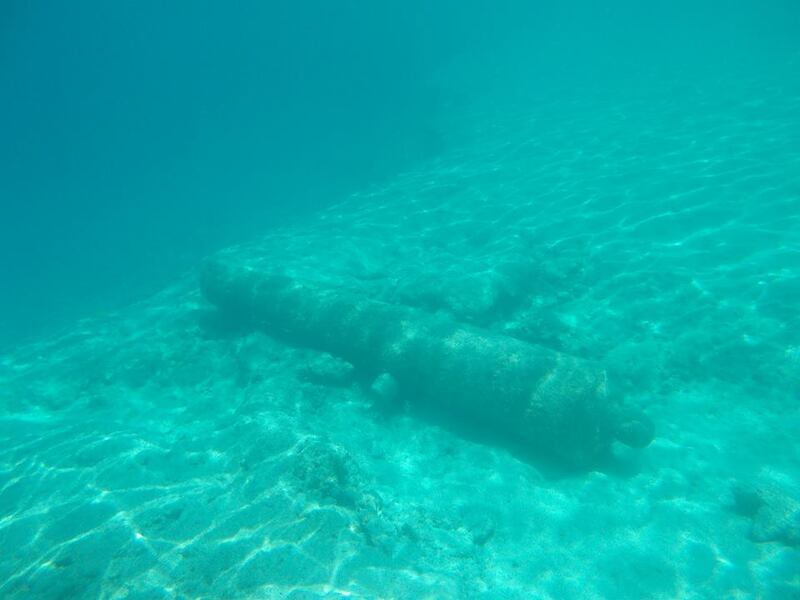 There is the Canon as pictured there as well as a huge anchor and a few other lost treasures that lie beneath those beautiful crystal clear and calm waters. We will be taking our underwater camera with us as well today, maybe we can find a special shot or two or three to talk about next year. 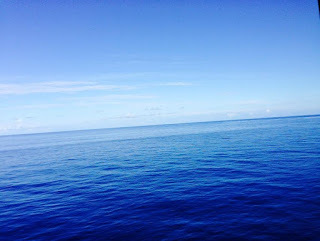 Well here we are on our second day at Sea today, this is the last day we have before we start to arrive at our Ports of Call, Tomorrow is Grand Turk, but that is tomorrows blog. Usually on the second day at Sea they run a lot of the fun stuff in the evenings, as all of the entertainment is concentrated on board as we are not in any port of call. Last year (see Video) Jeff the Juggler was the featured entertainment for the night, but that was last year, I'm sure there will be someone different this year. 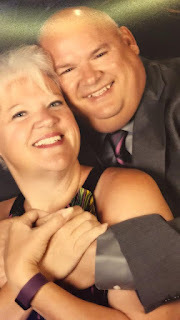 As I did in yesterday's blog, here is the video blog that we recorded last year on the second day at sea for our cruise. One thing I have always wanted to capture and have to date failed to each time I have attempted, was to capture a sunrise on the ocean. In 21 attempts we are 0 for 21 when it comes for clear weather to see this, well how about this picture that I took on last years cruise of the moon. Anyways, this is our first full day at Sea, we'll be in waters as deep as 21,000' as we leave the Atlantic Shelf and enter into the deeper parts of the Ocean. By the time this blog posts we should be going around Cape Hatteras, which is probably the roughest water that we typically see. If you are going to get seas sick, this is where it typically occurs. Our first cruise we were in the AFT (Back) and right above the engines, so yours truly managed to get a little bit seas sick. Tonight will be the first of two formal dinners, that is when we get all cleaned up and they serve us Lobster Tails and Prime Rib. We will once again be all dressed up and will have a series of professional pictures taken of us as we are dressed up. We printed those pictures out last year and handed them out to everyone. We're planning on doing the same thing again this year. The following video is from our first day at sea and formal dinner last year, please enjoy it and make sure you have yourselves a great day today. We definitely will. We did it, we won the KDKA McDonalds Pittsburgh Steelers Trivia show for the third time in our teams history and for the first time in the shows history it has its first back to back Champions. I have to say that honestly none of us studied this year, but something told me going into the tournament that it was ours to lose. 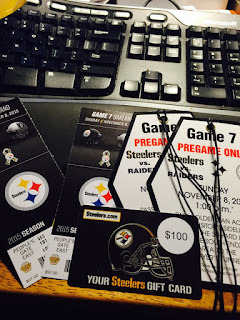 Our prizes for winning this tourny once again, $100.00 at the Steelers Store, 2 Field passes each and 2 tickets each for the Pittsburgh Steelers vs Oakland Raiders game later this year and I seem to remember a Grand total of like $80.00 in McDonalds Gift Certificates (that we gave to Hayley). Thank you all for watching and cheering us on to yet another win. That is a grand total of three trophies that this team now possesses. We will grab group pictures this November of the three of us and all three trophies. Those pictures will be posted at a later date. Well it is Embarkation Day for Michelle and I. 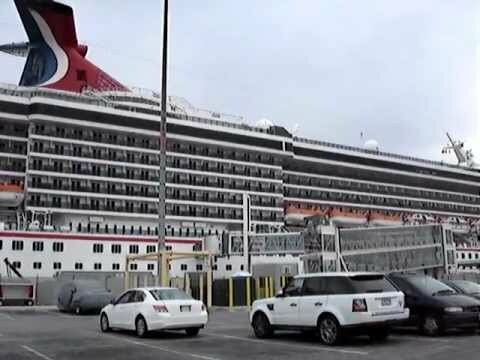 We will be leaving the hotel later this morning and driving right past MT Stadium when the Baltimore Ravens Play and giving our one finger salute once again as we make our way to the Port of Baltimore to embark upon the Carnival Pride. We will be moved to the Gold Level VIFP this year, we will pass our 25th day at sea on this trip and they always advance you to the next level if you achieve that level on the cruise you are on like us this year. It's the next level where all the real perks kick in for free, but this year we purchased Faster to the Fun as we did last year and bypassed all of those long and absolutely ridiculous lines that people have to wait in. Once we are on the boat we will be enjoying lunch somewhere on the Carnival Pride, I personally want to hit up Guys Burger Joint, but there are a number of other options for us to choose from. 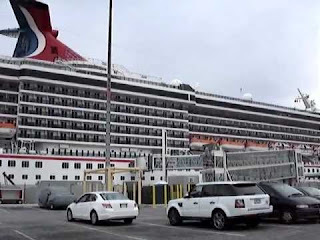 One thing we will be excited to see today is the new and revamped Carnival Pride. It went to dry dock last fall and was upgraded to a Funship 2.0 since our last cruise. We are already very familiar with this ship, even though everything has changed. There will be very little time spent figuring out where everything is located. We will be dining with one of the ladies we dined with last year. She and her husband will also be taking this cruise and we are already booked as dinner companions again. The couple we dined with two years ago are also on this cruise, but are traveling in a large group of people and we will not be dining with them, but are looking forward to seeing them. Enjoy yourselves today, we intend to. Set your DVR's and stay up late night tonight and see if the Pudgy Polamalus, the defending KDKA McDonalds Pittsburgh Steelers Trivia Champions (and the only two time winner of the show as we previously did it as Poised to Strike in 2008) can defend their title and become the only team in show history to ever repeat as Champions. We won in 2008 and decided to go out like Bettis, but a few years ago they wanted everyone to return for another round so we did. Last year we won it as the Pudgy Polamalus, being the first time that the same three players on the same team had ever won the tournament twice. Tune it tonight and see if we can be the shows first ever back to back Champions and the only three time winners (the Pittsburgh Steelers of Steelers Trivia) of the show. I like our chances and I have two remarkable team mates. 11:30 on KDKA Channel 2. Well today starts our 2015 Cruise and Vacation. Like we have done in years past, I would imagine our day will start with a trip to the IHOP here in Morgantown before we start our Journey to Baltimore Maryland this morning. Along the way there will probably be stops at Sidling Hill for a rest and of course we can't go through the area without visiting the Hagerstown Premium Outlets for a little shopping. Both stops break up the monotony and give us a nice little break during the trip. The Outlet stop is a nice break before you have to start dealing with all the traffic in Downtown Baltimore. 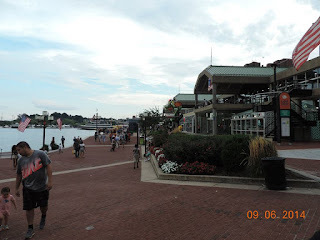 We will once again be staying at the Holiday Inn at the Inner Harbor, which is right across the street from Camden Yards and about three blocks away from the Inner Harbor itself. We love to go down there and eat dinner, the last couple years we have eaten at Bubba Gumps. Having been there the past three years, we are very familiar with the Inner Harbor and all the shops and stores there. It will be a nice relaxing start to our vacation and preparing for tomorrows embarkation process. Have yourselves a great day because we intend to. Yes it is once again that time of the week that we all look foreword to, when we can take time to cease the labors for the week and take a little bit of needed time out to enjoy the fruits of those labors. 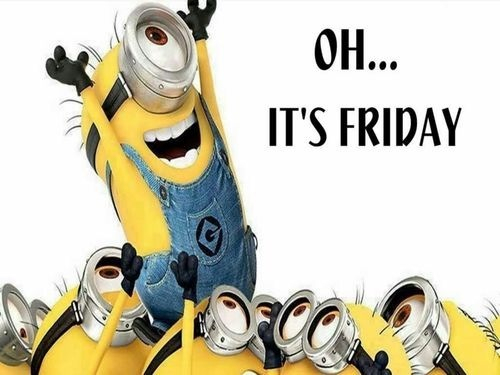 It is once again the dawn of another weekend, and a Big Ole Hairy Friday and the start of Mine and Michelle's Vacation and Cruise!!!!! First of all thank you to everyone who has put up with my daily blabbering for the last 11 years, as today marks the 11th Anniversary of my first post that got this whole thing of documenting my life started. 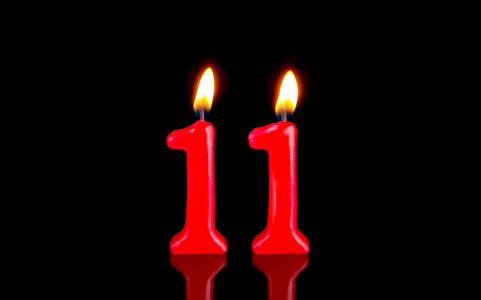 It's hard to believe it has been 11 years since I started writing this blog. 4,190 blog posts later here we are, you don't accumulate that many posts and that many thoughts in a short period of time. Thank you to everyone for reading through the years. I think I'm going to celebrate this accomplishment and what we will accomplish tomorrow night on KDKA and take my lovely wife on a Caribbean Cruise starting tomorrow!!! OK, Looking for a little bit of football action tonight. On the High School front the 2-0 Morgantown High Mohigans will travel to Parkersburg South and square off against that undefeated team. University High will try to capture their first win of the year as they visit Moundsville and John Marshall. Clay Battelle trying to recover from last weeks defeat travles to Barnesville, Oh. to try to start that win streak again. Good luck to all the local teams tonight as all three of them hit the road this evening. Let's get this vacation started. Once a week I like to take a little bit of time out, time to look back and reflect upon all of the images that I have either taken with a camera, scanned or just simply stolen from the internet someplace. Little lost moments in time to post up and recall for everyone here. Sometimes this is a pretty easy task and sometimes it's not that easy, it is however always a whole lot of fun. This weeks picture goes back one year. 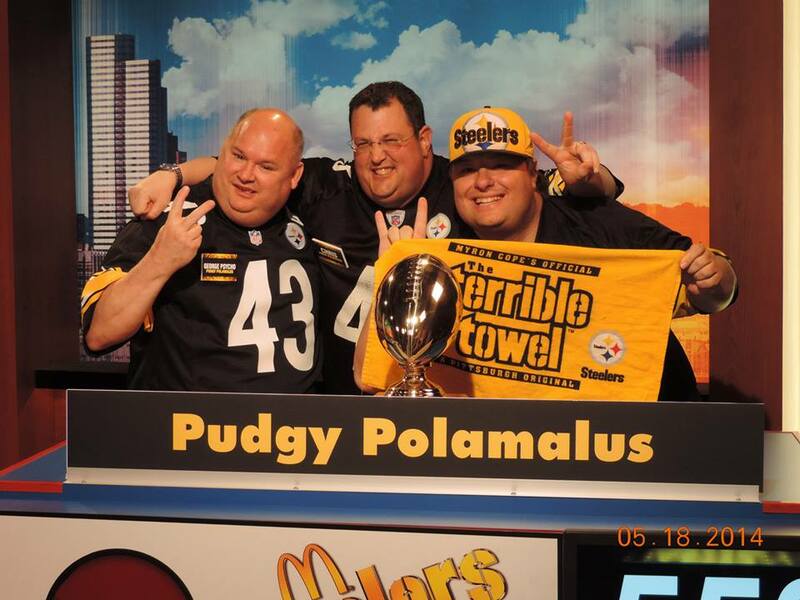 One year ago when the Pudgy Polamalus won the KDKA McDonalds Pittsburgh Steelers Trivia Challenge. This was the second time that we had actually won the Trophy (see video below of first time as Poised to Strike). The year prior we had came out of retirement and finished third, but last year we won it all. Now the question is how will we do on Saturday Night? BTW Bob, we're not crowning a "NEW" Champion this year. 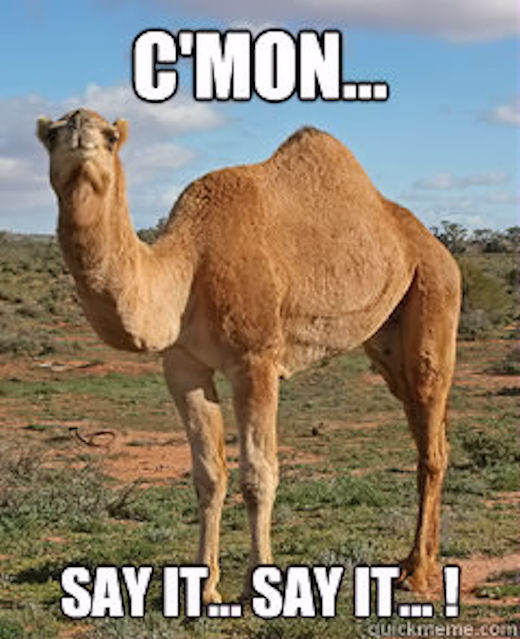 Well that is two days down, even though one of them really didn't count as we were off on a holiday, we have two more days ahead of us, now all we have to do is get up and over this noon time hump. Well today is a big day for Apple users. They will have their roll out today and present what will be new in the upcoming iPhone 6s that will be released in the very near future. It seems like the last couple of years every time they have made their announcement we were out in the middle of the Atlantic Ocean and could only get tidbits of information here and there. It'll be nice to see what new features are going to be introduced, however we are on the Next 24 plan and will have to wait until the iPhone 7 is released before we can upgrade mine and Michelle's phones. Have yourselves a great day, I'm just waiting until vacation. 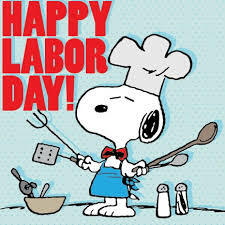 * Well that not so dreaded and relaxing day called Labor Day is now over with and it's time to get back to work for a few days before we head out on our cruise. Time for a Tidbits. * It was been 18,909 days since my birth, I am thankful and grateful for each and every one of them. * It has been just a very short 4,132 days since I graduated from West Virginia University. I used to have an old website where I had a countdown of the days until I graduated, now we are counting this. * It has been 2,733 wonderful days since Michelle and I went out on our very first date. * That first date went so well that 1,957 days ago I proposed marriage. * It has been 1,494 days since Michelle and I exchanged our marriage vows in front of our closest friends and family. It was a memorable day for both of us to say the least. * I have about 5,928 days to go until I retire, give or take a few hundred here or there of course. * We have 333 more days to go until Michelle and I will celebrate our Fifth Wedding Anniversary. * There are only 134 more days to go until my favorite season, Spring 2016 is what I am looking most forward to. * There are 114 more days of content that I have to write until my Goodbye 2014 blog is written. * If you have not started your shopping yet, there are 108 more days to go until Christmas. * I will celebrate another anniversary of my 21st Birthday in only 84 more short days. * In 63 more days, Michelle, Pam, Terri, Kim and Brittany will be attending the Taste of Home Cooking show. They will all be attending as VIP's. * There are only 25 more days until we attend the Springs Festival. Michelle and I go up on Saturday, my sister Kim goes up on Friday evening and Terri has an open invitation from both of us to attend. * There are only a mere 5 more days to go until we actually set sail on our 2015 Cruise aboard the Carnival Pride. * I have written a total of 4,187 Blogs for George's Journal, not including all the ones that I have pre-written for when we go on vacation at the end of this week. * No work this week on the Hall Family Tree, there are more pictures that need scanned and it's coming up on that time when I start to work on it. * Nothing new on the Brother Search this week. Things are very slow and almost at a standstill right now. * Don't forget to set your DVR's on Saturday night, the finals of the KDKA McDonald's Pittsburgh Steelers Trivia show will be airing. These are the last three teams standing after 8 weeks of this season. We advanced as the Wild Card this season just like we did last year, tune in to see if we can be the first team in Show history to repeat a Championship. We have already won it twice before, 2008 and 2014, see if we can claim that third title this year. * This has to be the toughest week to work for the year, your mind is not on your work and all you can think about is vacation. What you need to do before you leave, what needs to get packed, hotel reservations, boarding passes, geocaches, of course all that stuff is already taken care of and we're just waiting to leave Saturday Morning. * We will once again be empty nesters again at the end of the month. Chad has found a 2 Bedroom apartment in Westover that he will be moving into October 1st. * There will be no Tuesday's Tidbits next week and instead a pre-written blog about our cruise. Even bloggers need a vacation. 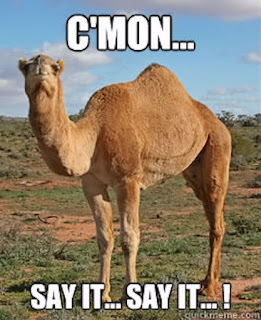 * Have yourselves a great day and lets get this work week started so we can get it finished. 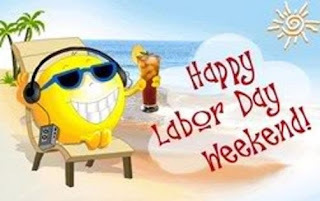 Well let's just extend that beloved weekend yet one more day as we take a little bit of time out to celebrate Labor Day. For Michelle and I this is the first of three consecutive Mondays that we will be off, but the next two will be due to being on vacation!!!! We've had a great weekend so far, now today I think we are going to actually start getting ready to pack and may actually pack a few things that will not be needed until we get on our ship like snorkeling gear. It will be a start to what we will need to complete by the end of the week. I hope that everyone has had a great weekend, I know I have (lots and lots of football) and so has Michelle, but I'm not so sure she has been too fond of the football. 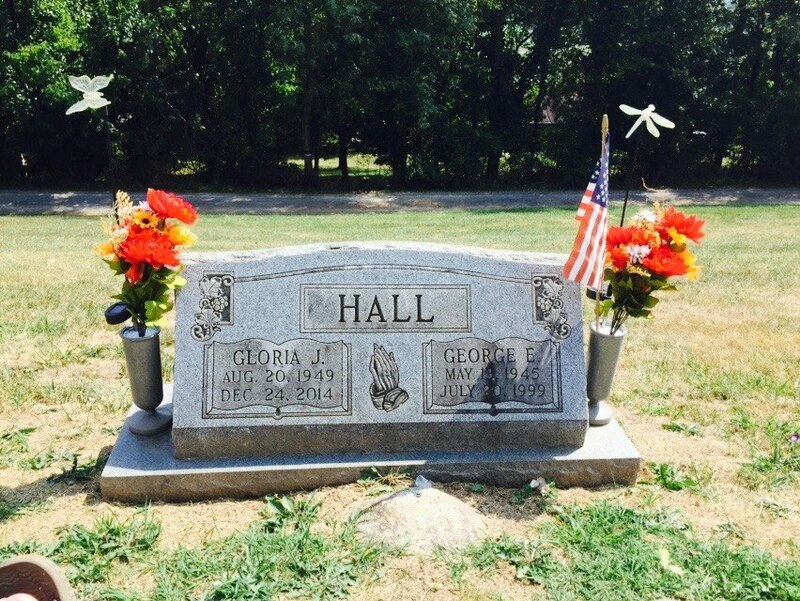 We stopped over at the graveyard yesterday and changed the flowers on Dad and Jean's tombstone, and did a little bit of fixing it up. We changed the styrofoam inside the vases and just straitened up. I think a few of us are all going to get together to do a Halloween decoration theme for it. Halloween is one holiday that always seemed to bring out the good times, maybe it's just a way of remembering days gone by. Have yourselves a great day and make sure you fire up those BBQ's. Here I sit in a quiet Household, I'm the first one to recover from that losing battle with that dreaded Sandman last night and I'm watching something or another on the TV and collecting my thoughts for the day to come. 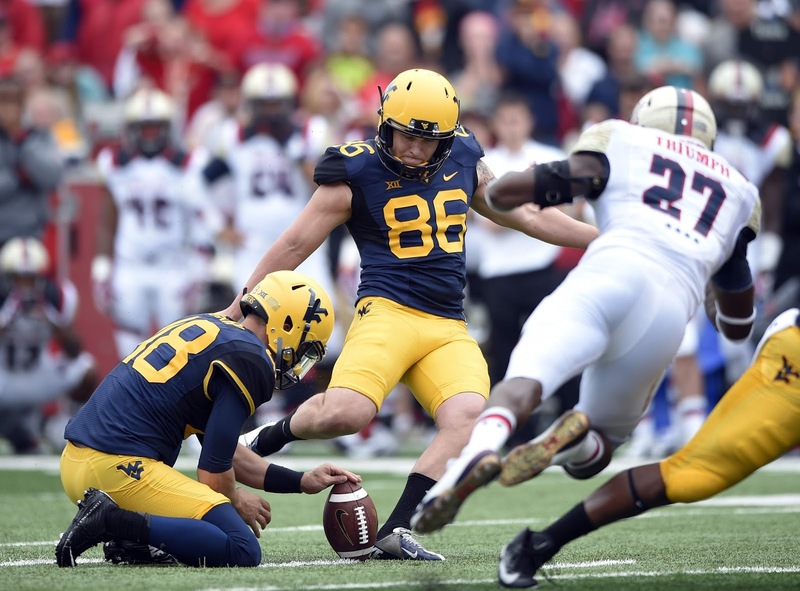 WVU showed up yesterday and did so with authority. We started out as a 30 point favorite over Georgia Southern early this summer and that dropped to 16 points by gametime, We would have covered that original spot and then some as the Mountaineers pitched a 44-0 shutout of the Eagles. The defense looked dominant and we have a few very talented wide receivers to help the offense out this coming season. I was a little disappointed in the first half at our failure to finish. If we had been able to finish this game could have been 63-0 realistically. You play these warm up games to prepare for Big XII Conference play, so I guess you could say we had a great start to the season. Michelle and I have assembled what we will be wearing on the formal nights for our cruise. The tie I bought last week seems to match both of her dresses. The first image is what we will be wearing on the first formal night when we have our professional pictures taken and the second picture will be the second formal night, but I'm not sure if I will wear the jacket. It's Sunday and that means that we will do our grocery shopping and laundry today. We are off tomorrow, so who knows what we will actually get into today, it may just be one of those kids of days. Here I sit on a quiet Saturday Morning before the big storm of Mountaineer Football takes the field later today watching a little bit of TV and collecting my thoughts for the day. It's a Football day for sure. Last night I met up with my old Buddy Smitty and Steph at Genes before the MHS game last night. I did get to see Ron Blosser an old classmate who will be opening up a new bar called White Tails here in Morgantown Very soon. At the game I got to see a couple more old MHS classmates in Kim Terry who was watching her son Matthew play and Dawn Wells who was there to watch her nephew perform in the Red aand Blue Marching Band which made for a great night. Morgantown won 27-14 and made these Old alums quite happy. It had been quite a few years since I had actually attended a MHS game, so it was nice to get back to the old Alma Mater. Today is the start of College Football here in Morgantown. 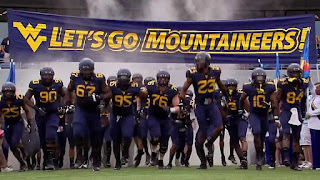 The West Virginia University Mountaineers will start off their 2015 Campaign as they play host to Georgia Southern this evening at Milan Puskar Stadium at Mountaineer Field. A lot of questions still need to be answered for this seasons team, today I think we will see if we have answers to those questions namely in the Quarterback position as Skyler Howard has had an off season to prepare with the team rather than being thrown into action late last season. It should be an interesting game. Michelle and My agenda for the day is still pretty undetermined, my guess is we will be taking a trip to some mall and be doing a little bit of last minute shopping before we take off for our cruise next Saturday. Have a Great Day and Let's Goooooooo Mountaineers. Yes it is once again that time of the week that we all look foreword to, when we can take time to cease the labors for the week and take a little bit of needed time out to enjoy the fruits of those labors. It is once again the dawn of another weekend, and a Big Ole Hairy Friday and a Three Day Labor Day Weekend!! Looking for a little football action? W have all kinds of action this weekend. Starting off Our Semi-Final Round of the KDKA McDonalds Pittsburgh Steelers Trivia show will air tomorrow night. We won our first round game a few weeks ago, now we are at crunch time with last Weeks Semi-Final Round played, it's up to us to see if we can advance to next weeks Championship round for all the Goodies. Can the Pudgy Polamalus advance, or will our fate stop here. Tune in to see of the Defending Champions can advance back to the Finals for what would be our 4th time in 4 appearances on the show. We've won it twice before and came in third once, can we repeat and be the only team to defend their title as well as being the only 3 time Champions? Tune in and find out. Looking for a little bit of High School Football action? Morgantown High tries to make it 2-0 on the season tonight when they host Brooke this evening at Pony Lewis Field. University High tries to get their first win of the young season as they play hosts to Parkersburg South and Clay Battelle looks to make it 2-0 as they travel to Midland Trail this evening. Good luck to all three area teams this evening. Looking for College action, well it starts tomorrow with the first game of the season for the WVU Mountaineers as they take on Georgia Southern right here in Morgantown tomorrow night. This should be a fun filled couple of days of College Football action. Have a Great day and a great start to an extended Holiday weekend. Once a week I like to take a little bit of time out, time to look through some of the pictures that I have either captured with a lens, scanned or just just simply stolen from some place on the internet. Little lost moments in time to post up and share and tell a little story about. Sometimes this is pretty easy and sometimes it's not that easy of a task, it is however always a whole lot of fun. With this years Taste of Home Cooking Show now announced, for this year in Morgantown, which Michelle, Pam, Terri, Kim and Brittany are all going to be attending this year as they all have already secured their VIP tickets for this years show, I thought I would bring up the picture form last years show. 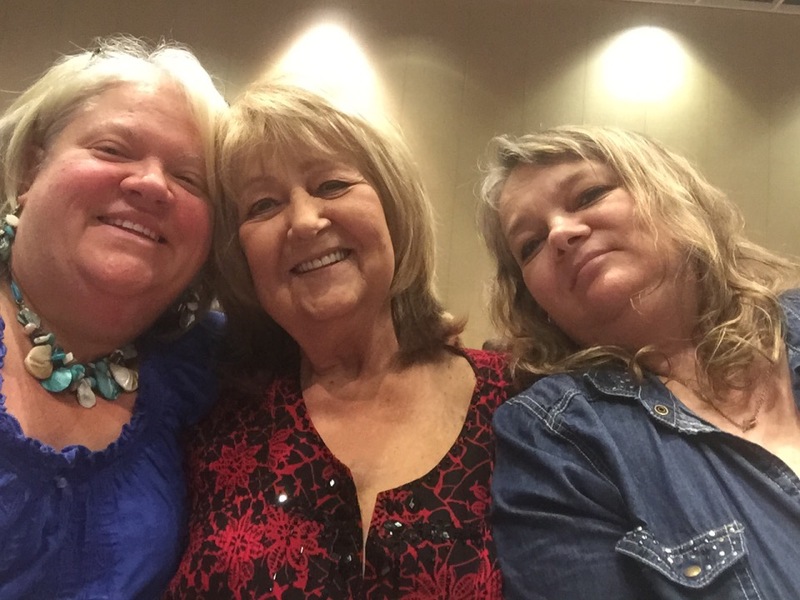 Last year was Jean's final show that she had attended, although her, Michelle and Pam had done a number of shows together over the past few years. Last year with Jean battling a dreaded illness of Cancer that she ultimately lost out to, they all decided to get the VIP passes for this years show. I know it is something Michelle and Pam have absolutely loved through the years, and they wanted to fulfill Jeans wish for this years show. This picture of course is from last years show. OK now we are getting somewhere, that is two days now under our belts and two more ahead of us, now all we have to do is get up and over that dreaded Noon time hump and it will be all downhill working towards another fun filled, and an extended three day weekend. This will be the first weekend for WVU Football this season and we play a night game against Georgia Southern. Kickoff will be at 7:30 that night and I'm not sure what channel will be broadcasting the game yet but I'm sure it will be available here in Morgantown one one channel or another locally. Well as Michelle and My vacation draws closer and closer we are starting to actually prepare for it now. I've printed out a few Geocaches in Half Moon Cay and Grand Turk, the ones in Freeport require significant island travel and we are probably going to stay close to port and shop there. 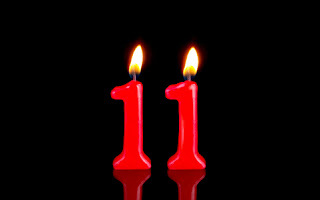 The countdown is definitely on as we are down to 11 days (10 before we leave for Baltimore). My guess is this weekend will be used to grab anything that we may need for the trip that we don't already have. * Well that dreaded day of the week that we all hate so much (and I'm off the next three of them) is now behind us and we are staring straight down the barrel of a Tuesday. 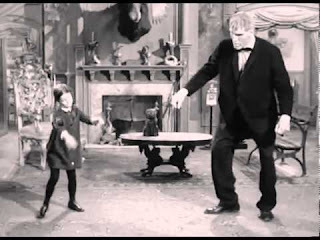 Other than Stephen Hawking dancing the Irish jig with an elephant can I think of a better reason to do a tidbits. * It has been 18,902 days ago that I was blessed with a chance to spend a little bit of time on this earth and make my own legacy and history. I count each and every one of them as a blessing and am thankful for all of those who I have ever met or have known or will someday meet. It's just one of the simple facets in life we should never take for granted. * 4,125 days ago I Graduated from West Virginia University. It was a lifelong dream and I took a better late than never attitude towards it. * It was 2,726 days ago that Michelle and I went out on our very first date, horrible movie, but a life changing night. * It was a mere 1,950 short days ago that I got down on one knee and proposed marriage to a very special lady. We did it in front of our closest family and friends at the Marilla Center. * 1,487 days ago that special lady and I entered into a world of marriage and our life has been one long honeymoon ever since. * I have about 5,935 days to go until I enter into the world of retirement, give or take a few hundred here or there of course. * I have 340 days to go until my Fifth Wedding Anniversary with my wonderful wife. I count each and every day I get to spend with her as a blessing. * There are only 201 more days to go until Spring 2016, this is the start of my personal favorite season, although here in West Virginia many love the Fall because of the color of the trees. * There are only 121 more days to go until my Goodbye 2015 Blog. I'm actually thinking of making a video of pictures and video clips I may have taken this year and putting it to music. That could be a good project for me to start when the days get shorter. * There are only 115 more days left to do your 2015 Christmas Shopping, you still have plenty of time, but smart shoppers will begin budgeting and planning around this time. * I have only 91 days to go until I celebrate yet another Anniversary of my 21st Birthday. * We have a mere 32 days to go until we attend the Springs Festival. I've invited my sister Terri to go with us and my Sister Kim is planning on going up the evening before. 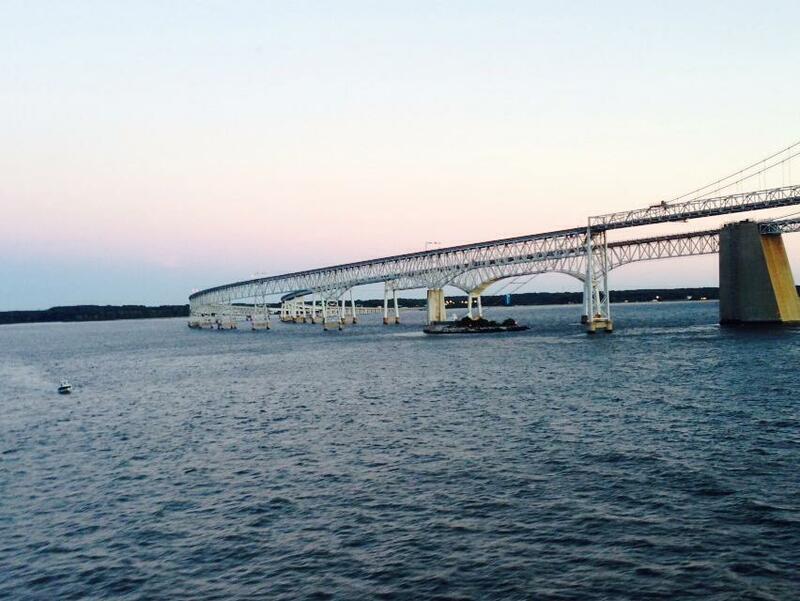 * There are only a mere 12 more days until our 2015 Cruise. When you track the ship this week, it will be running the same route that we will run in two weeks. * Only 4 more days until the start of the 2015 WVU Football Season. That means it is actually game week this week. * This is the 4,180th Blog that I have written in my nearly 11 years of Blogging. * Nothing new on the Brother search this week, it's a big dead end but I still have hope, and faith that that we will some day find the answer. * No work on the Hall Family Tree this week, maybe after the Springs Festival I will start to do some work on it. * With so many events coming to pass, I'm going to need to start looking for other events to either count down to or count up from. It makes the longest blog of the week even harder to find content and meet the standards I have set for myself. * We are thinking about booking our 2016 cruise on the Cruise Ship this year. Depending on what kind of special deals or incentives we may get, we both love this one particular cruise and if the upgraded Pride is worthy we may do it again next year. * My niece Amy is talking about heading to Amish Country the week after the Springs festival. * I have about 99% of my vacation blogs written and ready to go. I'm also doing a few video blogs that correspond to our trip last year, I'm just having trouble with the one from the day at Freeport. * I know Michelle, Pam and maybe another guest will be attending this years Taste of Home Cooking show on November 11th. Last year they talked about obtaining the VIP packages for this years show. It's something Jean wanted to do this year and I think they are going to fulfill her wish this year. * I stopped by the Graveyard yesterday, Joyce Aitken's tombstone is already up and engraved. Talk about being very quick. It's amazing how many people in that area of the graveyard that I have known, kind of a scary thought. Michelle has a friend who lives in Japan whose Grandfather was also just recently buried there and we sent a series of pictures of his tombstone to her. * On this day in history in 1864, the City of Atlanta fell to Union Forces. * With Summer winding down and Football Season kicking off, I just wonder if I have ever taken any time out to mention that I HATE SNOW!!! * The second Semi-final round of the KDKA McDonalds Pittsburgh Steelers Trivia Challenge will be this Saturday Night. We will be on, tune in and cheer for us and see if we can repeat last years feat of winning it all. If we advance the final round will be on the following Saturday Night. * Have yourselves a great day and be thankful you have the chance to experience it.